Thanks to Val Jennings for allowing us to use this article compiled from his notes in the CD booklets for Sing Children Sing and Earth Mother (Edsel 2000, 2001). When Elton John issued his third album Tumbleweed Connection on October 30, 1970, he (and Bernie Taupin) had already been compared in the US press to such established and accomplished songwriters as Randy Newman, Laura Nyro and Robbie Robertson. In the UK well-respected music critic/DJ Annie Nightingale had written that “as a singer-songwriter he is emerging as one of the most fascinating new talents around”, and Robert Partridge in Record Mirror claimed that Elton was “probably Britain’s first real answer to Neil Young and Van Morrison”. Amidst such hyperbole it was particularly surprising to discover that track 2, side 2 of the new album by this major new songwriting talent had been written by one of his backing singers! The composition in question, the beautiful “Love Song”, was performed as a duet by Elton and its writer Lesley Duncan, the latter also playing acoustic guitar, and for the delicacy of its arrangements it was one of the stand-out tracks on the album. For the vast majority of Elton John’s audience Duncan was a complete unknown who had sprung from nowhere. But nothing could have been further from the truth. Lesley Duncan was born in Stockton-on-Tees in north-east England on August 12, 1943, and started writing songs in her teens. In 1963, in an effort to get her song “I Want A Steady Guy” covered, she recorded and submitted a demo to EMI. To her surprise EMI decided that, rather than place the song with one of their existing acts, Lesley herself should be signed up. The single, produced by future Hollies producer Ron Richards, was issued on the Parlophone label, credited to Lesley Duncan and The Jokers, with “Movin’ Away” by Len Praverman (a Tin Pan Alley writer), the original of which had been recorded by Lesley Gore, on its b-side. The Jokers were actually John Carter and Ken Lewis (later to form the Ivy League), Viv Prince (later drummer for the Pretty Things), and future composer/arranger Les Reed. The single was also released in the US on the Jerden label, home to, amongst others, the Kingsmen’s “Louie Louie”. A perfectly-timed pop confection, sadly the record failed to trouble the chart compilers on either side of the Atlantic. Parlophone tried again in 1964 with some more of the same in “Tell Me”/“You Kissed Me Boy”, both credited to Lesley and her brother Jimmy,1 but again to no chart avail. Lesley decided to change labels when Ron Richards didn’t let her record “Just One Look” on the basis that it wouldn’t be a hit, and then recorded it with the Hollies for a number 2 hit. The Mercury label was next to take up the cause in 1964 with “When My Baby Cries”/“Did It Hurt?”, both penned by Lesley. The a-side was covered by Yvonne Prenosilova with a Tony Hatch production on the Pye label, Dundee combo the Poor Souls also issued a version on Decca, and Mercury US even released Lesley’s original in 1966, but all four issues failed to chart. 1965 saw three further singles on Mercury, starting with “Just For The Boy” (originally recorded by the Essex) /“See That Guy” (written by Lesley). The a-side was covered by Anita Humes with production by the famed team of Charles Koppelman and Don Rubin on the Roulette label in the US, but neither version charted. The same fate befell “Run To Love”/“Only The Lonely And Me” and “Hey Boy”/“I Go To Sleep” (yes, the Ray Davies song). Teenage angst pop had run its course by this time, and with the likes of the Beatles and the rest of the pop aristocracy releasing ever more serious material, Lesley stopped for a rethink. She re-emerged in 1968 with a fresh approach, and on a new label, RCA. “Lullaby”/“I Love You, I Love You” didn’t crack the Top 30, but did introduce a new singer-songwriter style with a haunting song she would later re-record for the album Sing Children Sing. Next up was the intriguing coupling, released in January 1969, of a cover of Carole King and Gerry Goffin’s “Road To Nowhere” and the debut recording of the song that was to provide her big break, “Love Song”. A move to the CBS label the same year saw the release of the debut recording of “Sing Children Sing”, backed with “Exactly Who You Are”. Although none of these three singles was a commercial triumph, they showed a songwriter growing in confidence, whilst still pursuing her day-job. Day-job?! In detailing the history of Lesley’s recording career and her composing abilities, this article has failed to mention her gorgeous singing voice, perfectly suitable for a wide range of material. If her singles went unnoticed by the record-buying public, the same wasn’t true for the record-making fraternity. She spent the latter half of the Sixties, all of the Seventies, and a good portion of the Eighties as a much-in-demand session singer, part of a UK “Wrecking Crew”-type ensemble of backing singers that included Kay Garner, Kiki Dee, Madeline Bell, Sue and Sunny and Vicky Brown amongst others. Her “employers” make up an impressive list: she sang back-up on Dusty Springfield sessions from 1964 onwards (Dusty sang on Lesley’s singles, as well as joining her for the backing vocals on Tumbleweed Connection), but by contrast in 1969 she also duetted with Patrick Campbell-Lyons on “Love Suite” on the British band Nirvana’s fantastic third album To Markos III (aka Black Flower). She sang for the likes of Tim Hardin, Donovan (on “Goo Goo Barabajagal”), Michael Chapman, Long John Baldry, Pink Floyd (she’s on Dark Side Of The Moon), Ringo Starr (“Back Off Boogaloo”), the original recording of Jesus Christ Superstar, and of course for Elton John on four albums (Elton John, Friends (film soundtrack), Tumbleweed Connection and Madman Across The Water). While CBS issued nothing by Lesley in 1970, the release of Tumbleweed Connection (with “Love Song”) in October that year evidently reminded the label that they had a talented singer-songwriter under contract, and Lesley was ushered into a studio to make an album. For the role of producer and arranger she chose to employ the services of her then-husband Jimmy Horowitz, later to produce/arrange/play for the likes of Air Supply, Long John Baldry, Steve Harley, Tim Hardin, Bad Company (on Run With The Pack), Andy Bown and Don McLean. Horowitz was also a leading player in the session world, notably for Dusty Springfield, conducting many sessions, including those for the See All Her Faces album. In February and March of 1971 Horowitz played organ on the sessions for Say No More, the second album by rising star (and session singer!) 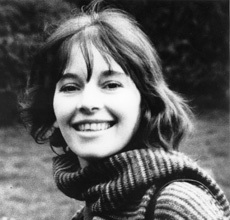 Linda Lewis. The guitarist and drummer for the recordings were Chris Spedding and Terry Cox respectively, and it was this team, with the addition of Elton John, that formed the core for the recording of Sing Children Sing (and who would record the bulk of Elton’s Madman Across The Water album in August 1971). Chris Spedding, while never really a star as a solo performer or in a group line-up, remains a star session guitarist to this day. Terry Cox, aside from his own credentials as a drummer in the jazz world, was of course a member of Pentangle, who vied only with Fairport Convention for the title of top folk act of the era. Of the other musicians on the album, Joe Moretti had achieved immortality (if not fame) as the guitarist on Johnny Kidd and the Pirates’ “Shakin’ All Over”. And so to the songs. Interestingly, nine of the eleven (the exceptions are “Mr Rubin” and “Love Song”) are concerned with light and/or sunlight, and the publishing companies are Sunshine Music, Sunlight Music and Sunbury Music! A strong belief in God and that children and love are the saviours of the future shines through the lyrics, without ever being cloying, mawkish or sentimental. And the warmth of Lesley’s voice infuses every song. “Chain Of Love” is evidently about her friends in the recording world (“some go out in limousines...”, “Amanda’s... out there in LA”), whilst “Lullaby” is for her (unborn) child. The muted string arrangement on the latter perfectly heightens the mood, as she sings in a manner that makes the listener wonder if Natalie Merchant grew up with this album! The next two songs feature Elton John’s piano to the fore. “Help Me Jesus”, which bears some similarity to Carole King’s writing, is a contrasting up-tempo and catchy number about the Lord, which was released as a single by Columbia in the US and Japan. “Mr Rubin”, one of two “political” songs on the album, takes the form of an open letter to Jerry Rubin, radical co-founder with Abbie Hoffman of the Youth International Party (perhaps better remembered as the Yippies). In February 1971 (i.e. around the same time as the recording of this album, and at the same studio, IBC), Elton produced a version of this song for his erstwhile Bluesology colleague Long John Baldry, which was released on his It Ain’t Easy album. The album ends with the anthemic title track, which Lesley performed on Top Of The Pops when the song was released as a single (though it didn’t make the charts). She re-recorded the song in 1979 to raise funds for Oxfam, with all-star backing from Madeline Bell, Kate and Paddy Bush, Vicky and Joe Brown, Phil Lynott and the children of Tywardreath Primary School. The single peaked at number 76, Lesley’s best chart showing! Undaunted, in 1972 she recorded a further excellent album Earth Mother for CBS with a similar line-up of musicians. Jimmy Horowitz fulfilled the same role as before, adding flutes to his organ and piano credits. (Elton wasn’t available this time, his career having gone into overdrive with the worldwide success of his “Rocket Man” single and the accompanying Honky Chateau album). Chris Spedding was on hand again to contribute some excellent guitar parts. The bass-playing is courtesy of stalwart Andy Bown, who first came to people’s attention when he lined up with Peter Frampton in the Herd in the late Sixties. In 1970 he formed Judas Jump with Herd drummer Henry Spinetti, members of Amen Corner and others. After one album, Scorch in 1970, Bown embarked on a solo career, managed by Billy Gaff and his GM management company. He recorded an album for Gaff’s GM record label, and when Ronnie Lane decided to quit the Faces in early 1973, for a while it was Bown’s name that was in the frame to replace him, though the job ultimately went to Tetsu Yamauchi. At 1973’s Reading Festival, Bown not only appeared in his own right but also played keyboards for Status Quo, which he continues to do to this very day, becoming an official member of the group in 1985. Drummer Barry De Souza was another UK session regular, also a veteran of Elton John sessions. In contrast to Sing Children Sing, the songs on Earth Mother are generally rather negative in tone. The majority of them chart the beginnings of the cracks in her relationship with Jimmy Horowitz, though that doesn’t seem to have stopped either party from giving their all to the renditions of the songs. Andy Bown’s song “If It’s All The Same To You” seems to cover the same territory, though it presumably concerns his own experience. Of the other songs, “God Is Real (In My Soul)” re-affirms the beliefs expressed in “Help Me Jesus” on Sing Children Sing, and “Fortieth Floor” is about Columbia label executives at the New York office. Given that up to this point Lesley had only delivered some single sides and one full album to Columbia/CBS, the lyrics are surprisingly vitriolic – one wonders what the terms were in her contract that caused her to exclaim “You caged the songbird but you can’t make it sing”. The centrepiece of the album is of course the title track, an ecology song dedicated to the Friends Of The Earth. A powerful and slowly building arrangement allows the song to reach its crescendo amidst explosions that evidently signify the end of the world, as a post-apocalyptic choir emerge from the ruins to sing of better days. The nine-minute suite, co-written with Jimmy Horowitz, is a tremendous climax to the album, which makes it all the stranger that CBS saw fit to issue an edited (4 mins 23 secs) version of the track as a single (with “Love Will Never Lose You” on the b-side). The album’s opener “Times” would surely have garnered some useful radio play had it been issued as a single. Sadly “Earth Mother” fared no better than any of Lesley’s previous singles. Despite this, in January 1974 she launched her first GM album Everything Changes with a concert at London’s Wyndham’s Theatre, attended by many of the “employers” mentioned above. As this writer can testify, her performance was rapturously received. She recorded two further albums for GM, Moonbathing (1975) and Maybe It’s Lost (issued in 1977), before she “dropped out and went to live in Cornwall in ’76”, having decided she was not interested in “chasing stardom”. And there Lesley Duncan’s recording career ends.4 In 1988 she said “Maybe I could sort of go on to some little low-budget label and put something out. That would suit me fine.” We’ll just have to keep waiting. A huge thank you to Mick Patrick and Malcolm Baumgart for their invaluable contributions to this article, and a special thank you to Ian Chapman for information and quotes taken from his unpublished 1988 interview with Lesley Duncan. 1 Actually written by Lesley herself; see interview by Ian Chapman on this site. 3 See review on this site. 4 In fact Lesley released two other singles after Maybe It’s Lost, in 1978 and 1986, in addition to contributing to albums by the Alan Parsons Project, Michael Chapman, Bunk Dogger, Amazing Blondel’s Eddie Baird, Mitchell/Coe Mysteries and others.